Up to 30 percent of students won’t achieve their potential in the SATs due to test anxiety. There are many options that can help you gain a competitive edge, but some aren’t as effective if you don’t combine it with sharpening your own study skills. 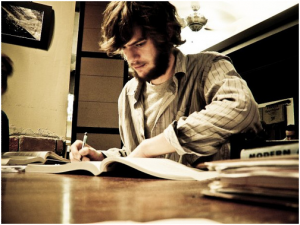 Combined with other approaches, these sneaky SAT tips are a solution to your exam jitters. Everyone knows completing past papers is one of the best SAT tips, as it helps you become comfortable with the test format. It’s not just the format of these resources you should worry about, but the questions being asked. Past papers contain advanced language that might throw some students. However, your practice time provides the perfect opportunity to become comfortable with these terms. Any time you come across an unfamiliar word on a test paper, write it down. Research its meaning, and write a clear definition that you understand beside it. Don’t just copy down the dictionary definition unless it makes sense to you. Periodically review these terms leading up to the test, because chances are you’ll encounter them when it really matters. If you leave a multiple-choice question blank, you’ve got a 100 percent chance of being graded incorrect. If you mark an answer, you’ve got at least a 20 percent chance of snagging the right answer. If you can eliminate improbable answers, you’ll increase the odds of guessing the correct response. Leaving blank bubbles also increases your chances of losing your place and incorrectly filling in the wrong spaces for future questions. Don’t let the quarter-point deductions for incorrect answers scare you. If you’ve prepared for the exam, you won’t need to guess too many questions. As raw scores are rounded to the nearest whole number, the effect of any incorrectly guessed answers should be minimal. Studies show that on average you’ll gain more points than you lose, especially if you can eliminate some improbable options. This sounds like a skill for elementary schoolers, but you’ll be surprised how beneficial reading practice is for students facing the SATs. Without training, it’s easy to skim material that seems dry or complicated and miss vital details. Before you sit the SATs, make sure you’re reading material you wouldn’t normally. Read the finance pages, academic journals, and articles in reputable magazines, paying particular attention to what’s being said. Ask yourself questions as you read to stay engaged and put complicated paragraphs into your own words. When you finish an article you should be able to explain it to someone else. Practicing these methods will help you improve your attention span and comprehension skills. You might think writing is reserved for the writing and vocabulary portions of the SATs. However, one of the best SAT tips is to write during the math portion. This process is a great way to find inspiration if you’re feeling stumped. Writing down everything you know can often cure mathematician’s block. So label your diagrams and add in any values you can. Expand, factorize, or simplify the expressions you see. Play with the numbers in front of you, and you’ll be surprised what patterns appear. With these tips in mind you can stress less and feel confident you’ll do your best in the exam room. Author Bio: A. Jane is a freelance writer who loves to write about anything from tech to mommy stuff. She is featured in many blogs as a guest writer, and can write with authority on any niche or subject.